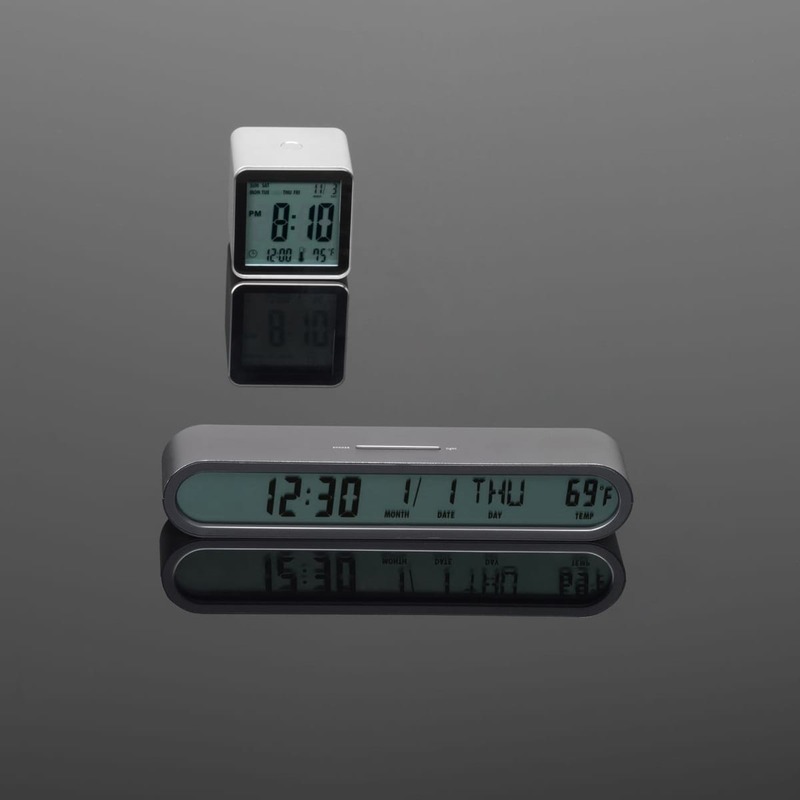 LEXON Cube is a sleek and stylish LCD alarm clock with a light/snooze touch sensor. Comes with soft-touch rubber finish in soft gold color. 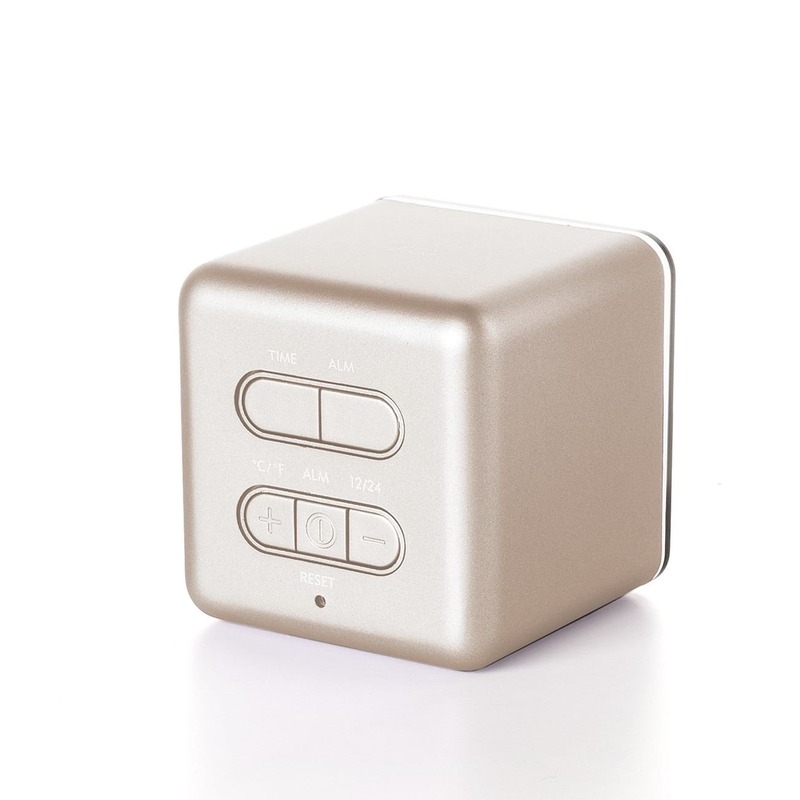 Simple in function, to turn on the light or put the alarm on snooze just touch the indicated sensor on top! 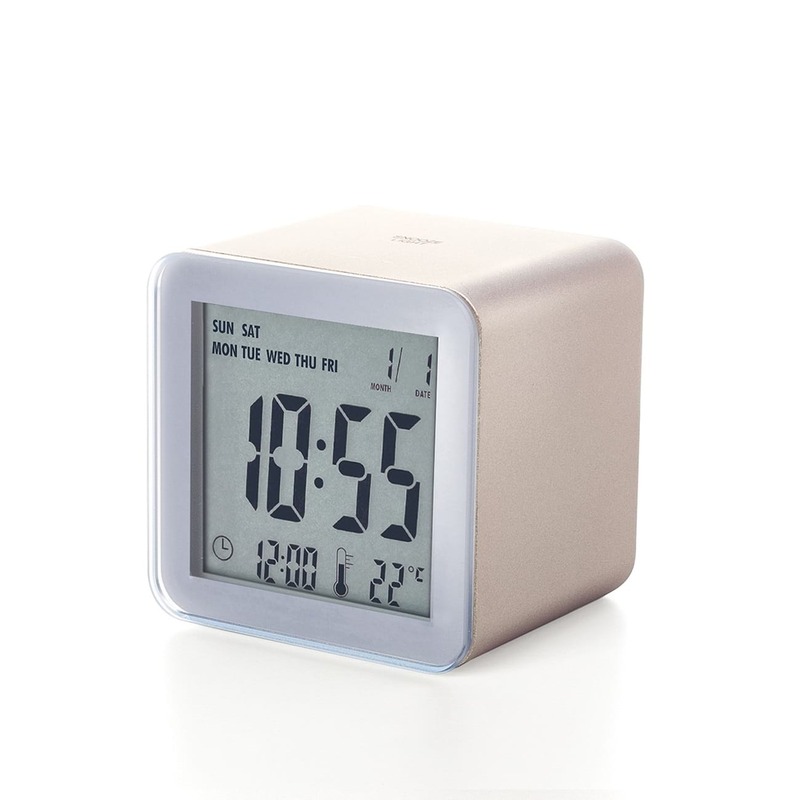 The cube alarm clock also features an electroluminous display and shows almost everything you need to know at a glance: time, alarm time, day, date and temperature (°C/°F). Designed by Marc Berthier & Pauline Minguet, this compact cube-like design is really small to be portable even when you travel. 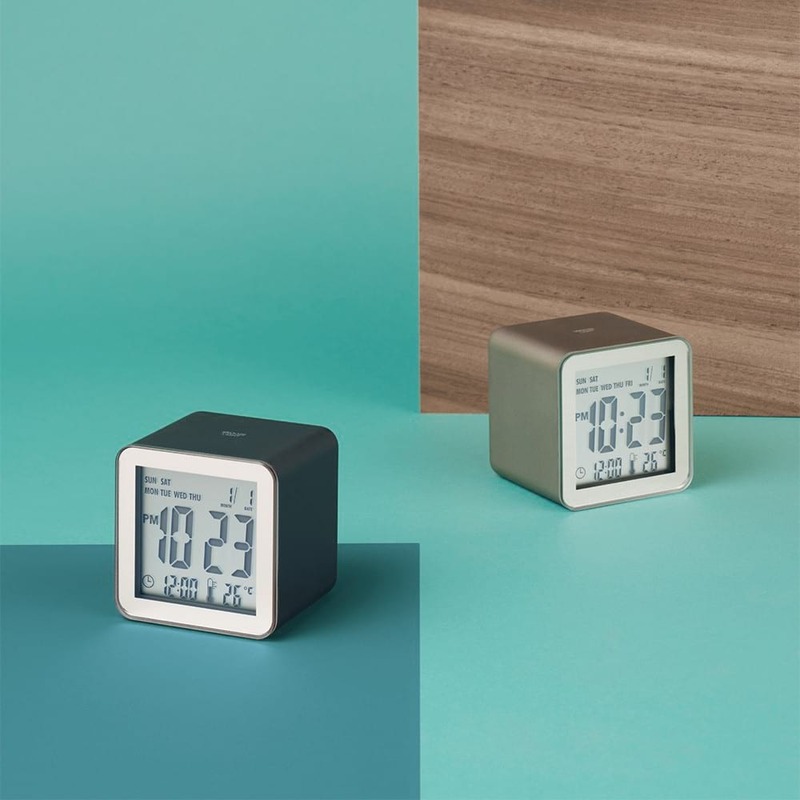 Cube LCD alarm clock comes in a variation of colors, while the soft in touch finish makes is pleasant to the touch and truly unique! Powered by 2 x AAA batteries (included). Dimensions: 5,5 x 5,5 x 5,5 cm (2.16 x 2.16 x 2.16 inches).